When looking for the right pair of goggles it is easy to get confused and lost in the expansive world of different technologies,features and lenses. To help guide you through we have compiled a list of our top picks that are both functional and fashionable. 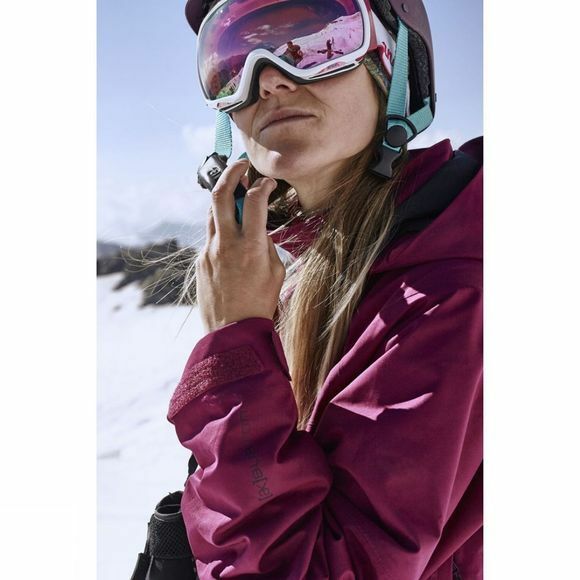 The Anon tempest goggle is the go to goggle for many lady shredders on the mountain. With its wide angle vision, small frame and great price point this goggle has all the high end features you need while still fitting into the budget. The goggle size fits perfectly under your helmet and doesnt feel too big. The women’s Anon Tempest goggle features women’s-specific design for the best possible fit and comfort. Spherical Lens Technology mimics the curvature of the human eye for superior optics, and the pivoting flush mount outrigger provides the best possible goggle to helmet alignment. Full perimeter channel venting ensures maximum airflow for clear, fog-free vision in all conditions. Includes a microfiber goggle bag for storage and wiping the lens clean. With a bunch of cool colours, graphics and local collaborations Modest goggles are a easy pick regardless of skill & experience. The Australian run brand has a range of different colours to match any outfit or style and the functionality of the classic fit will suit any lady. All goggles come with a spare lens making these even more appealing. A winner for style and budget.